The other day I had very ripe plantains that had been sitting on the kitchen counter for a few days. I wanted to make something different out of it and absolutely not the regular dishes. Since the plantains were very ripe I felt it would make a great smoothie. Well, I didn’t want to just add milk to it and make a smoothie. I wanted something else added to it too. That’s when almonds made a grand entry. Plantain Almond smoothie was made in no time. Good part was that I didn’t have to add sugar as the ripe plantains imparted the needed sweetness. Now, that’s what I call a healthy smoothie. Both plantains and almonds have amazing health benefits, so you can enjoy this smoothie quite often. Do I need to say anything about almonds: the nutritional powerhouse??? 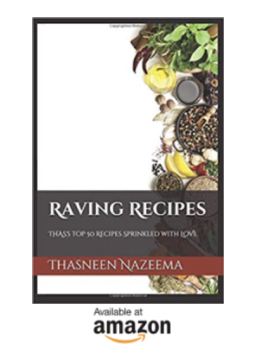 For more recipes using plantain, click here. If using skinned almonds, soak the almonds in warm water for 30 minutes. Peel off the skin from the almonds. Or use blanched almonds. Cut the plantain vertically, remove the black seeds in it using a sharp knife. Slice the plantain. 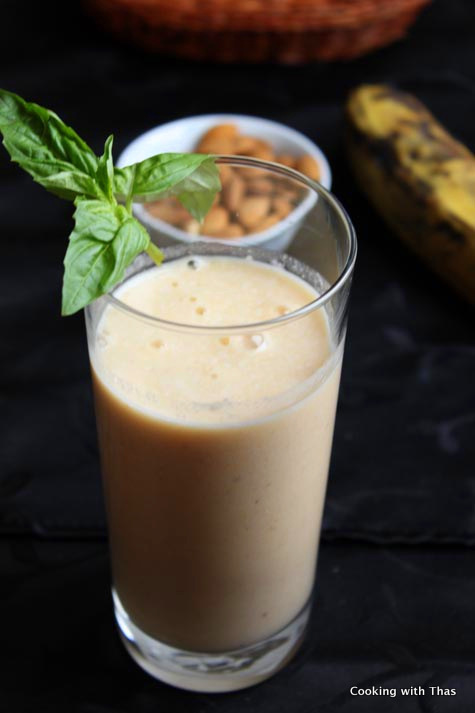 In a blender, combine the plantain, almonds and milk, grind to a smoothie. Pour into a tall glass, if needed add ice cubes. Ripe plantain will impart the needed sugar for this smoothie, if you need more sugar add a few tablespoons of honey or agave nectar. Enjoy this healthy smoothie for breakfast.